Beaty Heart are an alt-pop trio from South London who released their debut album Mixed Blessings in 2014 to critical acclaim. 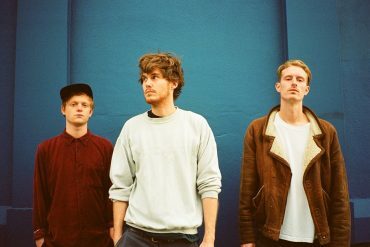 Raw Gold is the latest single from their forthcoming second record Till The Tomb and was produced by their friends Jungle. Originally a slow jam, Raw Gold was written when Beaty Heart were on tour with Jungle who suggested to rework the song. We played it to the guys in Jungle and they suggested that it had potential to be more of a banger – they were like ‘give us more of that dirty bass’. Like many bands, Beaty Heart formed out of school. Initially a four piece, they started out as a video-art and music collective in 2010 and they still do their own artwork and videos to the day. Their sound has been described as London’s answer to Animal Collective and Vampire Weekend. With a strong focus on drums (two out of three members play the drums), Beaty Heart use a vide array of loops, samples and percussions to create their own unique sound. Beaty Heart went on an extensive worldwide tour with Jungle last year and will be announcing further live dates soon. Till The Tomb is out on July 29th.